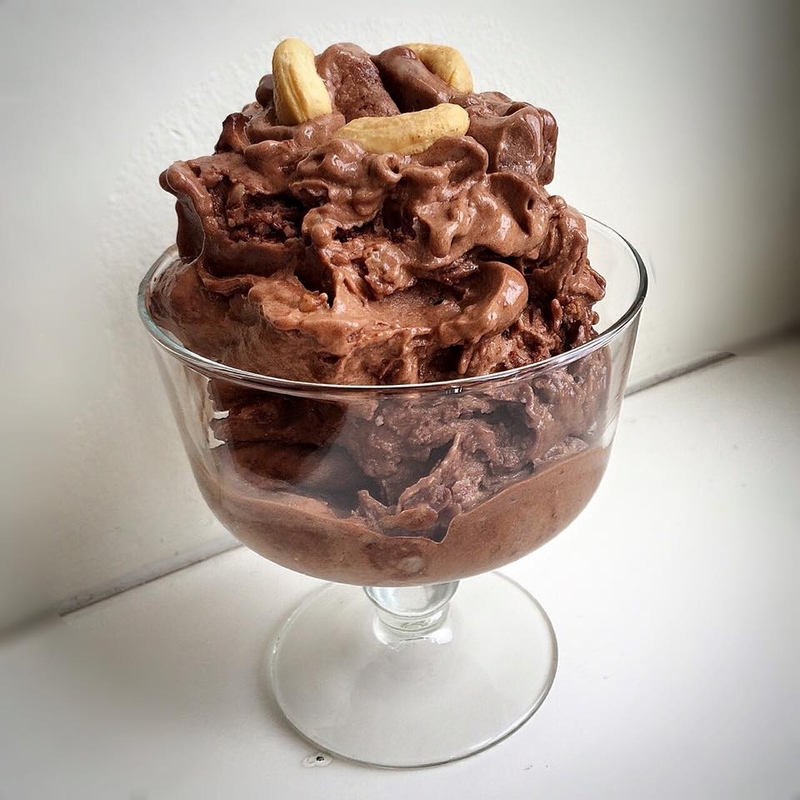 All you need is frozen bananas and cocoa powder. Take the frozen (peel the bananas before you freeze them) and leave on the countertop for 5 min. Then throw it together with 1-2 tbsp cocoa powder and 1/4 cup of milk and blend. You'd need to stop and scrape the walls a few times till the mixture becomes creamy and gelato like consistency. Optionally you can add raisins, buts, nut butters, chocolate chips, fruit pieces, different flavors,coconut etc. Oh yeah, this was ahhhh-mazing.